Fresh Eats: 10 of March’s Madness! It’s a new month, and you know what that means. Welcome March with Chope’s latest edition of Fresh Eats! This time, we’re giving you 10 novelties to check out. From a cosy Mexican cantina to a soufflé-centric French bistro to belly-warming Chinese hotpot houses, Chope’s Fresh Eats has got you covered for a month of international temptations! There’s never a dull moment along the bustling Keong Saik Road. The vibrant scene gets perked up even more with the Barcelona-themed restaurant. Serving up plates after plates of multicultural Spanish delights, be amazed by Olivia’s intricate tribute to the culture’s fine-dining. While here, relish in the Lomo de Buey Wagyu, a premium cut of prime Wagyu slathered with a truffle and pepper sauce so good, it will leave you coming back for seconds. Classy ambience with lowlights? Check. Delicious bar grubs? Check. Stylish cocktails helmed by a famed bartender? Check. The ultimate cocktail experience awaits you at the Swish InterContinental, where you can wine and dine with the finest selection of cuisine with roots in ten different cities across the Atlantic; coupled with creative cocktails crafted by renowned bartender, Andy Griffiths. Treat your taste buds to Sugarloaf, a Mexican-inspired fruity concoction of pineapple beer, tamarind, and gula melaka. For the (more) adventurous, sip away on the Berber Smash, a medley of spicy Rebel Yell rye combined with bittersweet cardamom bitters, which brings out the distinct flavours to create a sensation in your mouth! If you think Clarke Quay’s only for bars, drinks, and clubs, think again. A homely bistro beckons you to spend your afternoon with deliciously delectable Italian goodies. Sights and scents of baked paninis, freshly-tossed pastas and oven-fired pizzas invigorate your senses as you step into this cosy hangout. Featuring comfort food at its finest, expect the warm Garlic Avocado Goat Cheese Sandwich to be served with crispy chicken bacon, crunchy lettuce, and tangy goat cheese sandwiched between two triangles of toasted bread. The Leccase pizza is great for groups — a crispy crust envelops fresh pomodoro sauce and melted buffalo cheese, a true Italian classic. Singapore’s bustling shopping paradise welcomes another to its slew of restaurants. This time, it’s a hotpot-lover’s paradise! Hai Xian Lao started out with its roots in its signature Sichuan soup. The Chinese steamboat franchise has since branched out (akin to its three outlets now) from its humble origins to include a variety of fusion flavours. With the introduction of its third addition, diners can now expect soup bases reminiscent of local tastes like Laksa, Tom Yum, and even Mala, which has been all-the-rage these days. Click here for more information on Hai Xian Lao. Singapore has no lack of hotpot places. But, how does Chao Niu Hot Pot stand out from the plethora of others like it? By specialising in delicate cuts of beef! Easties, thank us later. This new beef-centric hotpot eatery along East Coast Road offers cuts of red meat uncommon in other places. Dig into good cuts of flank, legs, and chunk with pipping hot soups of spicy Mala, nourishing collagen, or refreshing sweet corn. North, south, east, west — it doesn’t matter where you are, Chao Niu Hot Pot is worth a trip to satisfy your beef hotpot cravings. It’s no surprise that the health fad is actually here to stay — be it hitting the gym or eating clean, everyone’s trying to be healthy somehow (sometimes). Shake Farm makes (healthy) eating-out easier for you. The three-storey shophouse along Telok Ayer features wholly goodies that will make you feel wholesome with each mouth. Be pleasantly surprised with the wide range of clean cuisine here, from protein bowls to fruity shakes, there’s something for everyone! Thirsty for alcohol? Lay off the calories with their low-carb beers! Hearty mains, creative cocktails, and clean drinks — what’s not to like? Click here for more information on Shake Farm HQ. Oxley Tower spruces up with a new Japanese eatery. Mind you, this isn’t like any other Japanese restaurant you’ve encountered. Chic and contemporary, Minka boasts delights that are creative and yet still rooted in tradition. By day, the usual Japanese suspects like chirashi dons set up the place for lunch. When night falls, Minka exudes an intimacy with its intricate omakase experience. Fresh ingredients flown directly from all over the land of the rising sun are hallmarks of the omakase journey. You’ll come having no expectations of this unassuming eatery, yet leave screaming oishii-desu! Click here for more information on Minka. True to its name, the Parisian bistro nestled in Duxton Hill serves up a myriad of the puff pastry curated by Olivier Bendel, the award-winning owner of Déliciae Hospitality Management (DHM). You don’t have to huff a puff with the soufflés here. Delicate yet still full of bite, these fluffy delights will tempt you so much, you just can’t stop at one. Be spoilt for choice as you soak in the beautiful display of the French pastry, fresh from the oven. 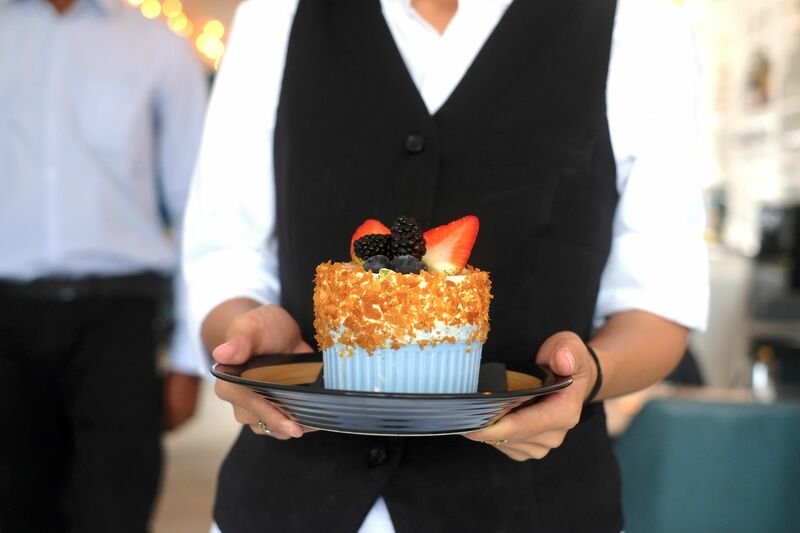 For seafood lovers, don’t leave without trying the Lobster Soufflé. Filled to the brim with satisfyingly sweet and chunky lobster flesh, you’ll be salivating with the savoury lobster bisque that accompanies this dish. If you’re craving something more local, Olivier puts a twist into the traditionally French puff with the Laksa Soufflé. Infused with flavours of the local delight, be captivated by the crunch of the fresh prawns and aroma of the coconut curry. The folks behind Singapore’s first Mexican dive bar, Chimichanga, welcome another to its name. Chimi’s lives up to its namesake of a Mexican cantina with its hearty, affordable grub and casual pub ambience. Located at One Marina Boulevard, office-workers can call it a day with breathtaking sights of Marina Bay. Chill out at the humble cantina with a refreshing drink and soulful Mexican nosh to make the perfect night-out after work. Sleek, chic, and bold. Nothing less is expected at celebrated chefs Richard van Oostenbrugge and Thomas Groot’s first outpost outside of the Netherlands. Resort World Sentosa’s latest gem features one long, stainless-steel table for all diners to enjoy front-row seats to the chef’s visual culinary spectacle. Relish in signature contemporary European dishes, unpretentious and unbelievably mouth-watering. Order the picture-perfect Green Apple dessert and you’ll have heads turning your way. Table65’s rendition features a salted caramel and walnut variation encased in the famous sugar-glass bubble. Click here for more information on Table65. Have we got you thinking of these novelly creative and deliciously delightful eats? Don’t let me burst your bubble; come try these 10 new treats for yourself!